Regular readers of the Meguiar’s blog will be all too familiar with the Player’s team. Since 2008 JayMac, Carl and the rest of the crew have been responsible for one of our favourite events on the whole calendar, expanding year on year to create a show genuinely fit for the whole family. Meguiar’s has proudly supported the Player’s series of events since day one, and it’s always refreshing to see show organisers who aren’t just passionate for all things tuning, but also practice what they preach when it comes to who they let exhibit, too. We’ve had the pleasure of welcoming many of the Player’s-built cars into the Meguiar’s detailing bay over the years and every event – come rain or shine – they’ll ALWAYS be sparkling thanks to a bit of Meguiar’s TLC. Once again North Weald played host to Player’s 11.0, and what this venue lacks in terms of track action it more than makes up for with attractions, trade stands and more. What’s more, it’s seriously appreciated having a show venue properly setup for a one-day event where it doesn’t take hours just to get in and set up. Old cars, new cars, stanced cars, lowriders and everything in between. If you wanted to get a feel for car culture in the UK, nobody does it better. 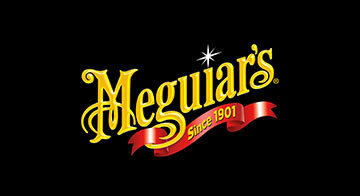 Even if you’re seasoned show-goers like Meguiar’s, Player’s ALWAYS throws up some wildcard entrants you’ll have never seen before. What more can we say? If you love car culture, you need Player’s in your life. And if you’re kicking yourself for not visiting on the day, have no fear! We’ve put together a gallery of our favorites below for your viewing pleasure.